Right off the hands of riders like Alvaro Bautista and onto your sweaty mitts, the REV'IT Jerez Pro Gloves are straight MotoGP technology for the unwashed masses. These technically designed gloves are the peak of hand protection and performance, a new generation based on the original award-winning Jerez gloves. The Jerez Pro is made of premium-quality kangaroo leather built around the “harmonica” concept, which mimics the natural anatomy of the hand and contributes to comfort and dexterity. This construction technique creates room for a second TPU-hard part at the upper hand. The protectors have been perforated for ventilation. The TRYONIC Impact Protection at the palm absorbs vibration and the double palm sliders ensure ultimate abrasion resistance. 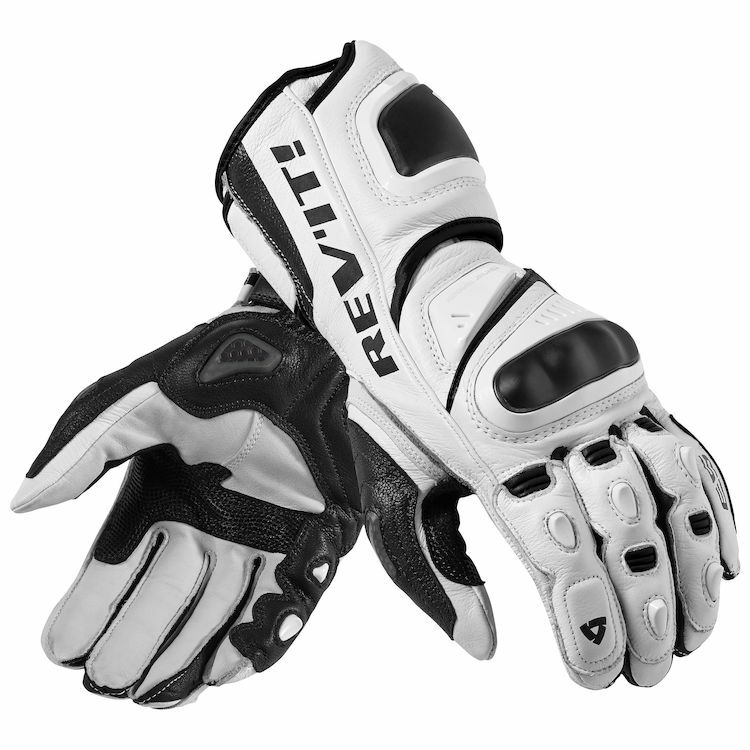 Note: We have found the REV'IT Jerez Pro Gloves tend to run small and suggest going up if you are between sizes. I bought these to replace my previous gen Astars SP-2. The first pair I received (from a Revzilla competitor) had a blown out thumb stitching out of the bag. The second pair I got was in much better condition, but after a few months of use the thumb stitching is starting to separate. This is with spirited canyon roads, never been down, treated with the love and respect you give near $400 gloves, etc. They are super comfortable, break in fast (sans the pinky finger which took a ten or so hours of use to stop getting blisters), and have excellent protection. But the fact that I'm about to set these permanently on the shelf after four months of mild use definitely leaves a sour taste in my mouth.